7"Only be strong and very courageous; be careful to do according to all the law which Moses My servant commanded you; do not turn from it to the right or to the left, so that you may have success wherever you go. 8"This book of the law shall not depart from your mouth, but you shall meditate on it day and night, so that you may be careful to do according to all that is written in it; for then you will make your way prosperous, and then you will have success. 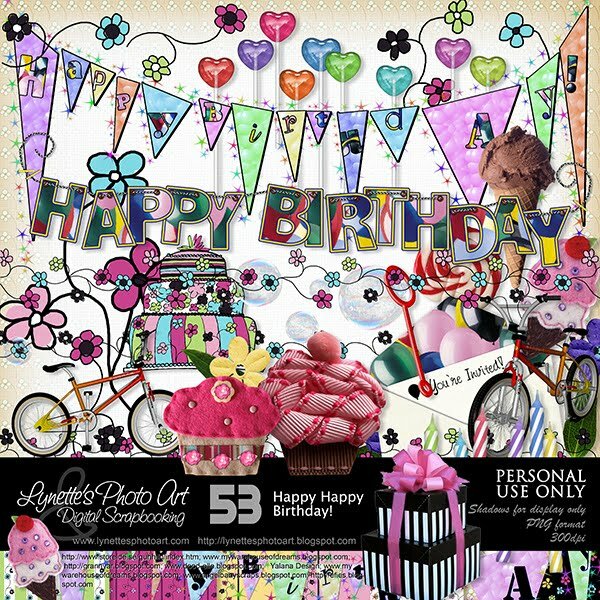 Happy Happy Birthday is a party in a kit - invitation, banners, bubbles, bikes and all the party food you could want with happy coordinated papers! Click image to enlarge. Click Buy It Now Button below image to purchase from my PayPal Store for $3.99. I'm giving you a freebie from the kit to sample today. So sorry to hear you've been hacked! Why do people have to find fun in ruining others? Certainly I will continue to comment no matter what! Hugs! Thank you so much for this post. 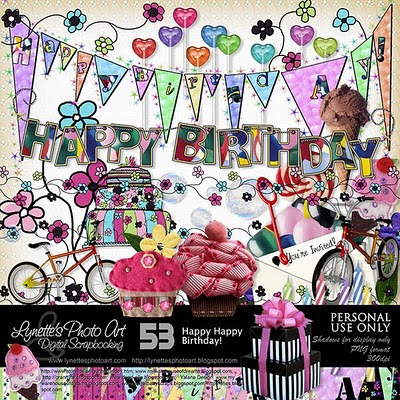 I want to let you know that I posted a link to your blog in CBH Digital Scrapbooking Freebies, under the Page 5 post on Jul. 14, 2011. Thanks again.